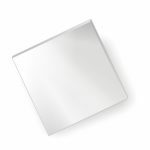 semi-permeable polyurethane foil constituting outer layer which protects the wound from external factors. 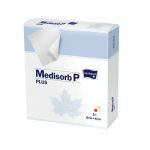 The construction of Medisorb P PLUS dressing allows for keeping it on a wound for a long time – up to 5 days (depending on the morphology of the wound bed and the amount of exudate). - debridement of necrotic tissue and purulent secretions from all types of wounds. 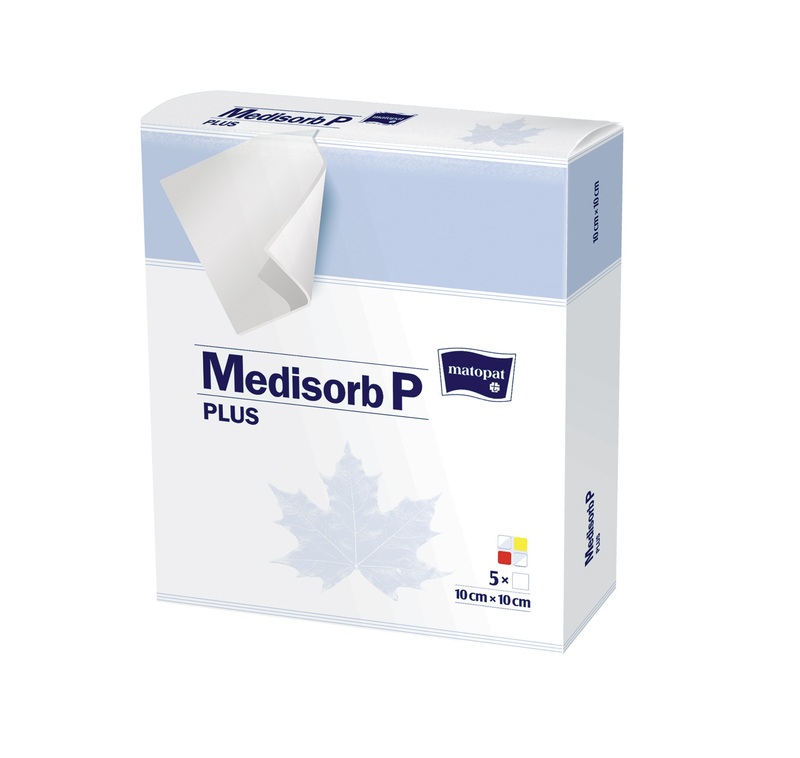 Medisorb P PLUS dressings are sterile by radiation sterilisation – ionising radiation (R) in a process validated in acc. with PN-EN ISO 11137-2. Sterility of Medisorb P PLUS® absorptive polyurethane dressings is confirmed periodically with sterility tests. The sterilisation indicators placed on each package prove the product's undergoing the sterilisation process. Medisorb P PLUS® absorptive polyurethane dressings fulfill all the requirements specified in PN-EN ISO 10993-1 norm and they also possess a number of documented biological tests. pH – between 4,0 ÷ 6,5 – assure optimal environment for hard to heal, exuding wounds. Thickness – approx. 5 mm – assures comfort of use. Absorbency– above 60g/100cm2 – assures high absorptive properties. 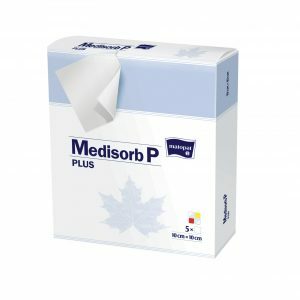 Medisorb P PLUS® absorptive polyurethane dressings are packed in medical packages (fulfilling PN-EN ISO 11607 requirements) - a coated sachet bag adequate for radiation sterilisation. On the outer packaging there is a label identifying the device. The packaging protects the dressing from UV radiation.